Pradeep Nagaraju, M.D. is an associate of the Michigan Institute of Urology. He is board certified with the American Board of Urology with subspecialty certification in Female Pelvic Medicine and Reconstructive Surgery (FPM-RS). Dr. Nagaraju practices general urology with a subspecialty focus in the treatment of urinary incontinence, voiding dysfunction, prolapse surgery, and reconstructive urology. Dr. Nagaraju received his undergraduate degree in Biology from the University of Michigan, Ann Arbor. He received his Doctorate of Medicine from Loyola University Stritch School of Medicine, Chicago, in 1995. Following medical school he completed his Surgical Internship and Urology Residency at the Medical College of Wisconsin. 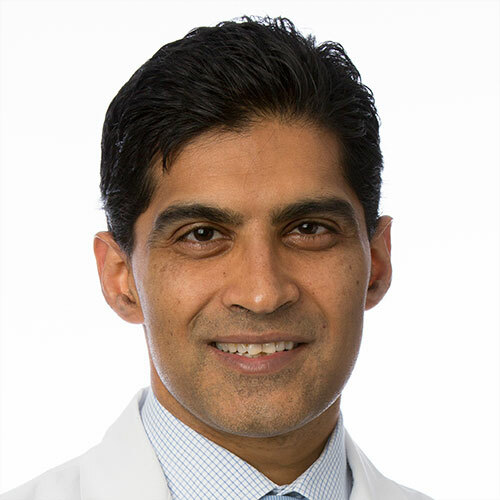 Dr. Nagaraju received his subspecialty fellowship training in Female Urology and Pelvic Reconstructive Surgery at the Emory University, Atlanta. Dr. Nagaraju’s hospital affiliations include Royal Oak and Troy William Beaumont Hospitals. He serves as a Clinical Instructor in Urology in the Urology Residency training program at the William Beaumont Hospital, Royal Oak. He serves as co-investigator for the Urinary Incontinence Treatment Network (UITN). Dr. Nagaraju is a member of American Urological Association, Society of Urodynamics and Female Urology, and American Urogynecology Society. Dr. Nagaraju, his wife Anu Prasad M.D, and his daughter and son reside in Troy, Michigan. Outside of the practice of medicine, Dr. Nagaraju enjoys travelling with his family and spending time outdoors including hiking, running, and skiing.